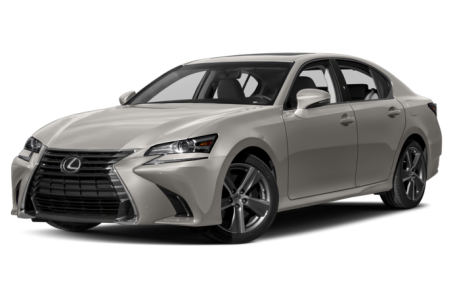 Sorry... the 2017 Lexus GS 200t is no longer being sold as new. The Lexus GS is a five-seat midsize luxury sedan. It comes with a choice of gas engines and is also offered as a gas-electric hybrid in GS 450h form. The V-6-powered GS 350 is available with all-wheel drive. Competitors include the BMW 5 Series, Audi A6 and Mercedes-Benz E-Class. A high-performance GS F with a 467-horsepower, 5.0-liter V-8 engine is covered separately in the Cars.com Research section. The Lexus Safety System Plus is now standard. It includes forward collision warning with automatic emergency braking, adaptive cruise control, lane departure warning and automatic high-beam headlights. In addition, the rear-wheel-drive GS 350 F Sport can have an optional limited-slip differential.